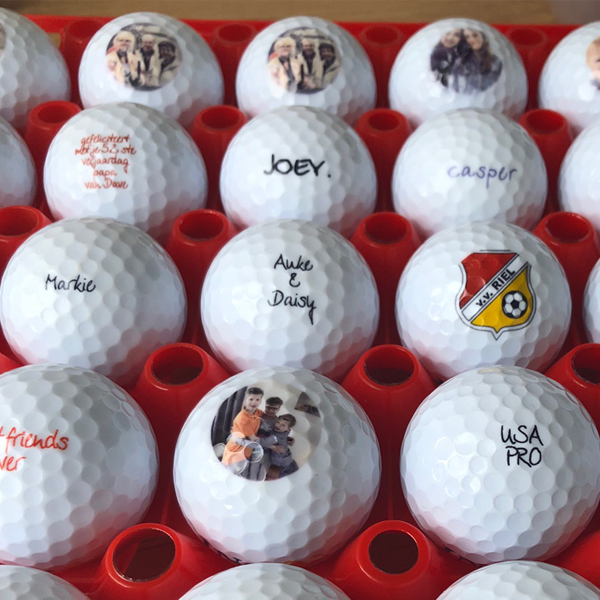 When ING Private Banking asked us if we could personalize golf balls on location, we didn’t hesitate a moment. We just coded and launched our state of the art and mobile friendly golf ball editor. And our golf ball printer could be transported too. A perfect match. 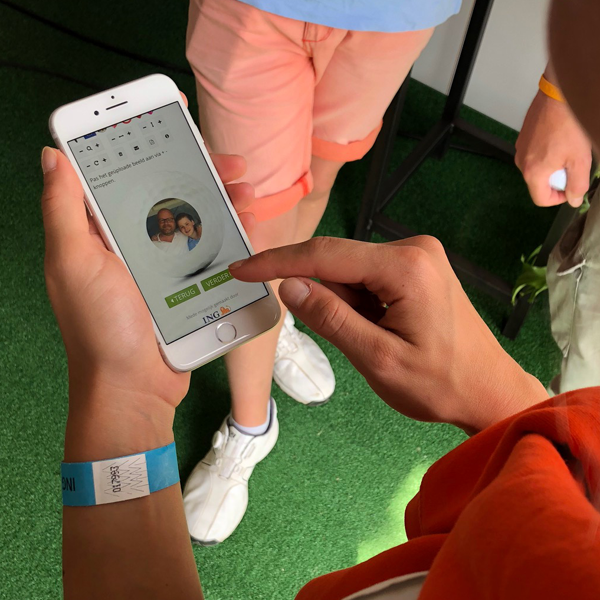 We introduced this innovative concept at the ING Private Banking Golfweek and made it an instant success with happy ING business relations and their kids. 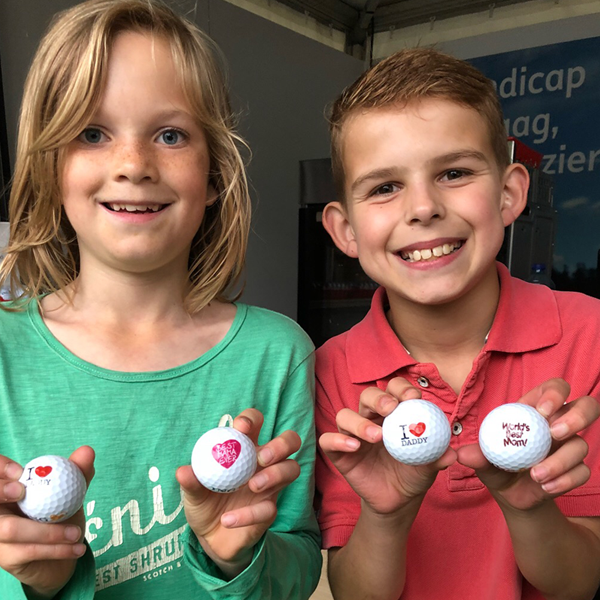 After this succesfull pilot ING hired us to customise ING golf balls at the biggest golf event in The Netherlands: the KLM Open. 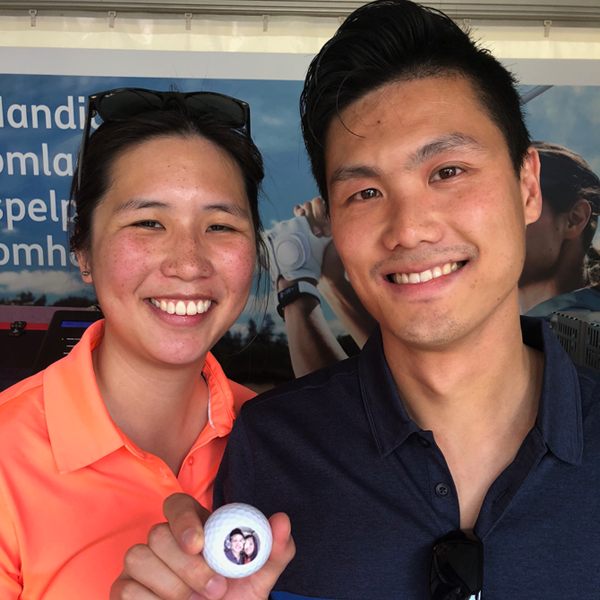 On a special URL we create for your event, your relations can design their own golf ball > design a golf ball with text or upload a photo > approve > and 3 minutes later the golf ball is ready. We are sure this concept to personalise golf balls on events is unique in Europe, and maybe even in the world. 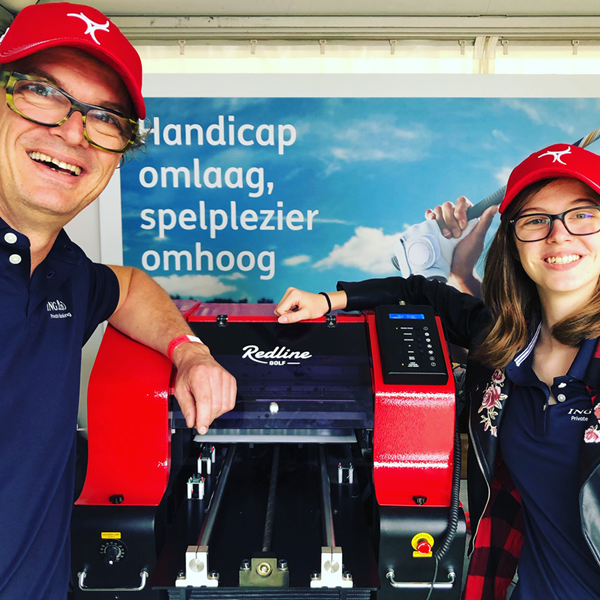 During the four days we personalised golf balls at the KLM Open we printed a staggering 1600 golf balls. 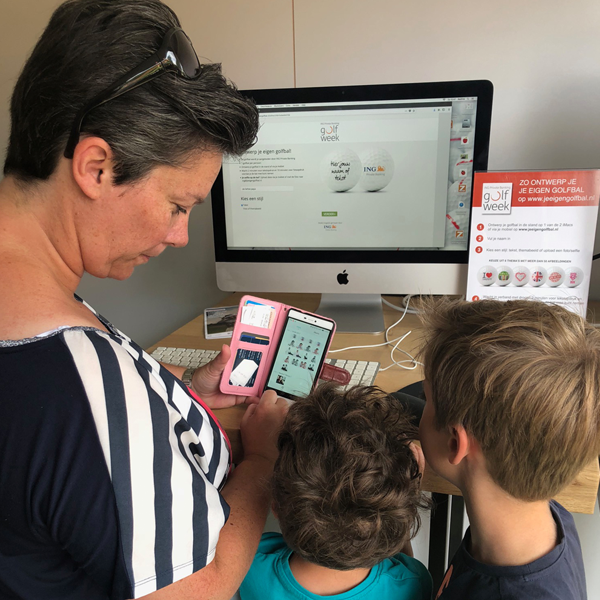 People were astonished to see that they could design their own golf ball on their mobile phone and take it home after a couple of minutes. Of course for free. 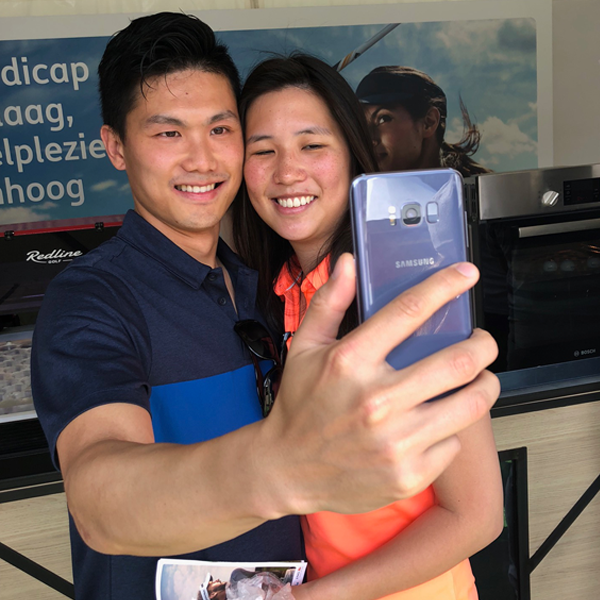 A business golf gift by ING Private Banking. The golf balls we use for your event, will all be customised with your company logo. These golf balls will be produced by Redline. We cannot use golf balls of other brands as each coating reacts differently on the ink we use. The UV ink we use to print your company logo has been optimized for our clear coating. Hence the print of your logo has a long lifetime: 72+ holes. Pricing for your own branded golf ball (without Redline logo, just your logo) is € 1,12 excl. VAT. Wifi is very important in order to customise on your event. Most of your business relations will use their own mobile to design their own golf ball. Therefore a fast 4G or local Wifi-network will be crucial. Space wise, we need 3 x 3 meters and a desk for our golf ball printer, oven and print computer. We need 6 sockets and enough power for our printer, iMacs, print PC and oven. Especially the oven needs quite some power: 1500 watt. 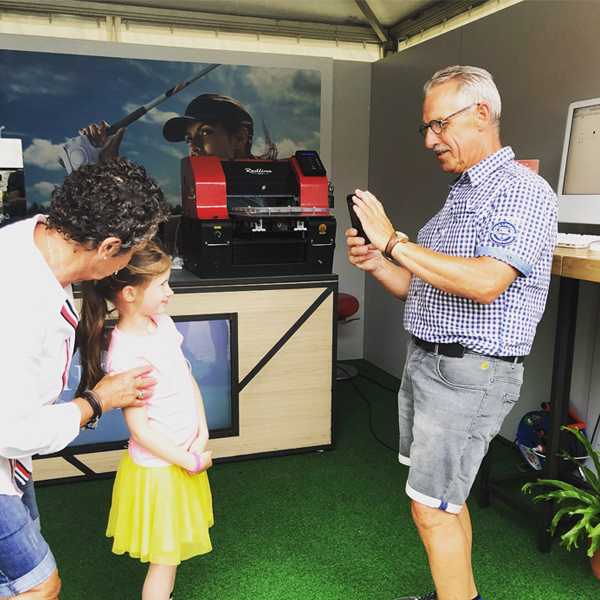 Daily fee of € 950,- from 9.00 AM till 18.00 PM + a € 0,21 per kilometer from our head office in Thorn Netherlands and back + € 1,12 per golf ball (customised with your company logo) with a minimum of 300 golf balls. Costs for customising golf balls for your business relations are inclusive in the daily fee. On slow moments we print one golf ball a time. Customer experience will be best at this time as our hosts will tell your business relation what to do to design their own golf ball. However when its really busy, we print batch. Which means we can print 2 to 54 golf balls a time. This way we can print around 600 golf balls a day. 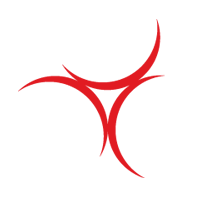 Send an email to sales@redlinegolf.eu or call +31 475 564267.